When it comes to different skin treatments and aesthetic services, one of the most unique, and powerful treatments out there is a chemical peel. A high-quality chemical peel can help maintain and restore the skin’s health and appearance. They are highly exfoliating and designed to help resurface the upper layer of the skin to deliver new and healthy skin underneath. Many people use chemicals peels regularly to help with fine lines, wrinkles, large pores, blemishes, and uneven skin tone. However, if you have never had a chemical peel before, you may not know what to expect. It is important to be prepared for what happens during and after a chemical peel so you can determine if this is the right treatment for you. During a chemical peel treatment, a skincare professional will apply one (or more) layers of a chemical solution onto the skin. Depending on your individual skin care needs, this peel may have a number of different ingredients in it. Your skin care professional will talk to you beforehand about your skin, what type of results you are looking for and what sensitivities you may have. 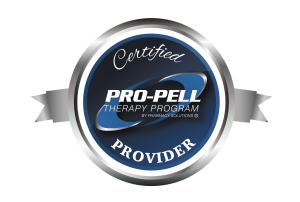 The goal of the chemical peel is to create a safe, controlled, “injury” to the skin, so that the skin naturally repairs itself and reveals new, brighter, healthier-looking skin. Since you are “injuring” the skin, the solution may tingle slightly during application, but is usually quite manageable. After the peel is applied, a neutralizer will be put on the skin and the mild discomfort will subside. A chemical peel will produce some redness following the treatment. For superficial peels, this will look and feel like a mild sunburn and may have some slight peeling for 3 to 5 days. For more intense and deep peels, that deliver more noticeable results, there will be more swelling, redness, and more substantial peeling. This will typically last 7 to 14 days. After a chemical peel, you should plan on wearing sunscreen after the treatment as the skin heals and doing any follow-up care as suggested by your skin care provider. Once the skin is done peeling off and healing, you will notice healthy, glowing, youthful and smooth skin you are sure to love. If you have any questions about chemical peels or are looking to schedule a chemical peel, call Heritage Family Medicine and Aesthetics today. We offer a variety of peels and can help you find one that will give you the skin you have always wanted. Call 817-318-7837 to schedule an appointment today and learn more about what chemical peels can do for you.